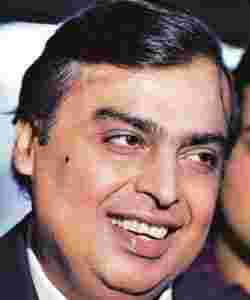 Talent hunt: Reliance Industries chairman Mukesh Ambani. Mumbai: Reliance Industries Ltd (RIL) wants some of its young employees and the children of some of its older employees to fly, literally. Faced with a shortage of pilots that could hurt the prospects of its cargo airline, the company, headed by billionaire Mukesh Ambani, has written to employees asking whether they, or their children, would be interested in becoming pilots, at the company’s expense. “The offer is for young employees" and those children of senior employees who have finished school, according to an RIL executive who did not wish to be identified. “The company prefers engineering students, though those who cleared school after studying physics, chemistry and mathematics (are also eligible)," the executive added. RIL will bear the cost of the training, subject to the employees or their children signing a bond saying that they will work for the company for five years. “Training would be given overseas for candidates who have cleared an aptitude test and a written examination. The conservative cost for training is Rs30 lakh per candidate. One will have to repay this amount with interest, if he is not joining Reliance," the executive added. The bond will help reduce attrition among pilots. According to research firm Centre for Asia Pacific Aviation, India will need around 3,000 additional pilots in the next five years. Local airline companies have ordered more than 500 aircraft that will be delivered in the next five years. The current fleet size of these airlines is around 300 and they employ 3,500 pilots approximately. The shortage of pilots has resulted in widespread poaching where companies hire from their competitors; it has also resulted in Indian airlines hiring a significant number of foreign pilots. RIL’s plans for a cargo airline are tied to its efforts to build special economic zones near Mumbai and New Delhi. “The company will start cargo airline operations in a big way to move goods arising out of these zones. It would need more pilots to handle a decent number of cargo aeroplanes. It would need more pilots for operating its aeroplanes for private use (too)," said another RIL executive. Meanwhile, the company created by merging state-run carriers Air India and Indian Airlines, National Aviation Co. of India Ltd, or Nacil, has also written to its employees on a possible switch to piloting planes. Like RIL, Nacil will bear the cost of training such employees, subject to them signing a bond. The state-run company requires at least 150 additional pilots every year for the next few years. “Based on the aptitude tests and qualification, some of the cabin crew and engineers have opted for flying profession. They are currently undergoing training," said a Nacil executive who did not wish to be identified, because he is not authorized to speak to the media. Jet Airways (India) Ltd has not asked its employees whether they are interested in becoming pilots, but several have expressed their desire to do this. “We have not written to employees to switch their jobs. They have voluntarily applied. Now various employees, even (those) from the HR (human resources) department and purchase, are being trained (as pilots)," said K.G. Vishwanath, senior general manager of management information systems and investor relations, Jet Airways.